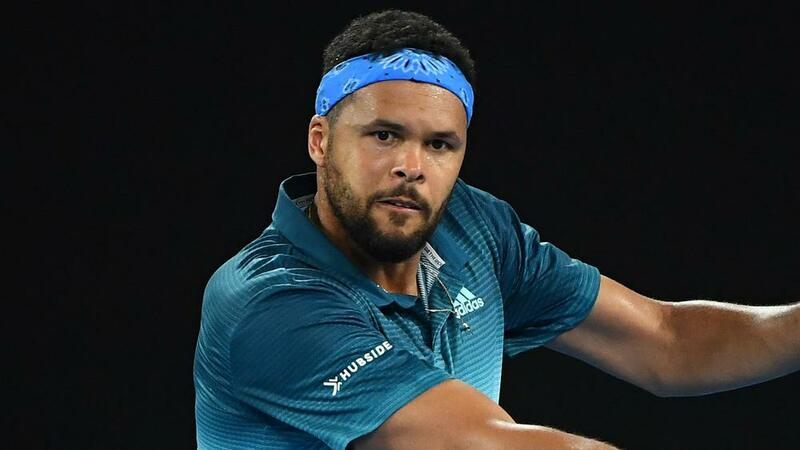 Jo-Wilfried Tsonga remained on course for a second ATP Tour title of 2019 with a commanding 6-3 6-2 win over Lorenzo Sonego in the Grand Prix Hassan II quarter-finals. The Frenchman, a champion in Montpellier in February, coasted into a third semi-final of the year in a little over an hour in Marrakech. Tsonga converted the only break point of the first set and broke a further two times in the second to book a last-four date with countryman Benoit Paire. Paire reached a first semi-final since January 2018 via a 6-1 6-3 beating of Jaume Munar, who knocked out top seed Alexander Zverev on Thursday. Defending champion Pablo Andujar was handed a walkover after Jiri Vesely withdrew due to an injury to a toe on his right foot. Another past winner of the tournament awaits in the form of fourth seed Gilles Simon, who defeated Taro Daniel 6-4 7-5 and saved 12 of 15 break points in the process.